- The Elder Scroll IV: Oblivion. - 2GB RAM for heightmap editing or 1GB RAM for world and level building or 512MB for anything else. - Administrative rights on your PC. 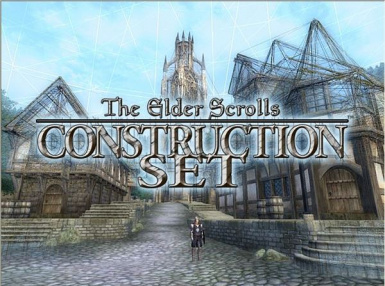 The Elder Scrolls Construction Set allows you to edit and create content for The Elder Scrolls IV: Oblivion. The Elder Scrolls IV: Oblivion is required to create and play content created with The Elder Scrolls Construction Set. However, the Construction Set will install and work without the game. - Fixed error with preview window not displaying art properly. - Under File, there is an new option to Combine Loaded Plugins. When this is selected, the user is asked for a filename. Once a valid file is selected, all loaded data that came from a plugin is resaved as a part of the new file. In order to do this, any new objects are given new IDs on entry into the new file. This means that if you have plugin A.esp and B.esp and C.esp loaded and save your game, and then merge those plugins into ABC.esp, you may have problems trying to load your save with ABC.esp. - Fixed a crash with DeleteAllCells option in the Heightmap Editor. - Fixed bug in Region Editor preventing cutting and pasting in object list. - Export functionality: Adding bExportPluginOnly=1 to General section in constructionset.ini lets you export only the data that is saved in the loaded plugin. - Fixed a bug where references generated by the Region Editor were incorrectly flagged as being owned by the user and not the region.